Following the successful launch of the Samsung GALAXY S III, Samsung Electronics extends the handset’s range through a new collection of colours for this human-centric smartphone. The new colours take their inspiration from the Earth’s richest materials: Amber Brown, Garnet Red, Sapphire Black and Titanium Grey. Elegant, intelligent and stylish, the Samsung GALAXY S III is designed for humans and inspired by nature. This design ethos is brought to life through the new colour variants, which are all derived from man’s relationship with natural materials and perfectly compliment the handset’s organic experience. 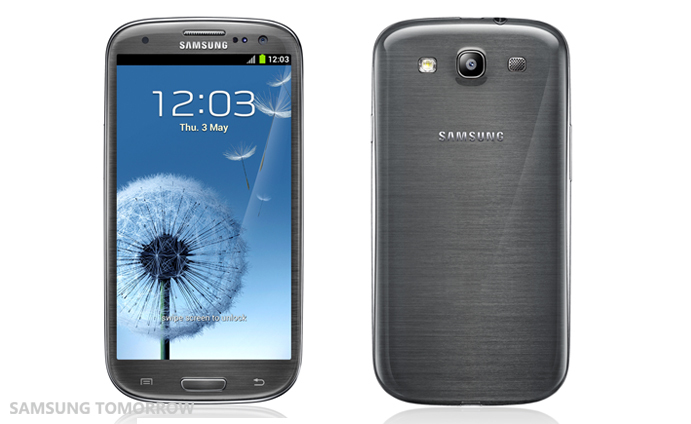 The phone adopts a pure and clear material called Hyperglaze on the back cover casing. The material’s rich properties underneath create the illusion of dual colours, adding depth to the design as well as elevating the phone’s aesthetic look. * Availability of colours will vary depending on the country and carrier/retailer. Garnet Red*: Rare and special, the gemstone Almandite Garnet was worn as an amulet by the ancient Egyptians who believed the stone contained protective powers. 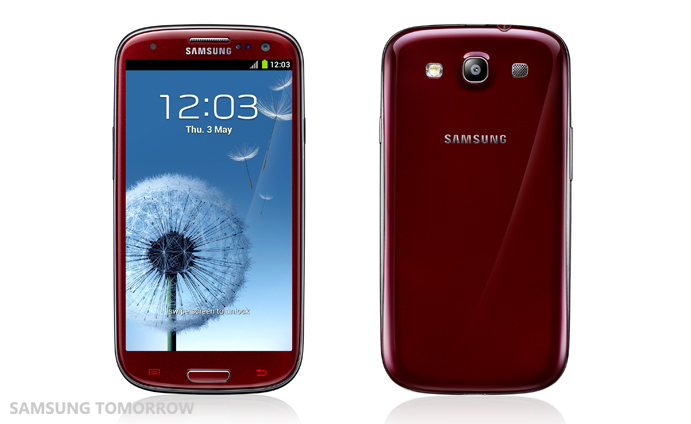 Garnet Red holds the delicateness and elegance of Almandite Garnet, in line with the GALAXY S III’s soft curves and smooth lines.